Max Pauling, of Murder in Foggy Bottom, is coaxed out of a restless retirement by another "ex-" CIA colleague. The case that tempts him is one involving a large American pharmaceutical firm that may be using a German company as a front to get around the U.S. scientific and technical embargo of Cuba. What's at stake? An ex-senator, who heads up a drug company, is after big game: the surprising and stunning medical research being conducted by the Cubans to develop a more effective anticancer drug. Max, who is among other things a pilot, is assured that this will be a purely private assignment—no assassinations, no government to subvert, no informers to turnjust a few easy flights and a little time in the sun. 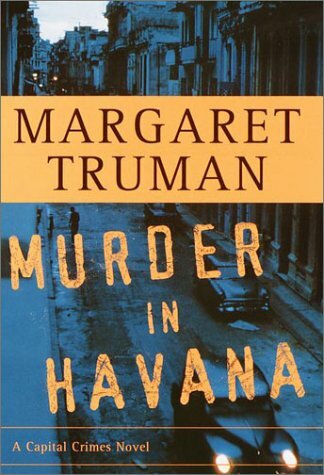 Once in Havana, he makes contact with a ravishing Cuban-American woman who is to be his "translator." Soon, he finds himself hunted as an assassin in a place where murder is sanctioned for a greater good, or greater greed, and those caught in the crossfire are as quickly consumed as a frozen daiquiri. e far from Washington, but DC power brokers are never far from Havana. Neither are danger, deception, and sudden death. That’s what draws Max Pauling there. As an ex-CIA, ex-State Department employee, he faces an uneventful early retirement–until he is asked to secretly fly some medical supplies into the mysterious Cuban city. If Max is looking for excitement, he finds it. First there’s his contact, a breathtaking beauty with private plans of her own. Then there’s a former senator, in Havana to ease the U.S. embargo, but who may have another, more malevolent, mission. Throw in endless supplies of under-the-table money– not to mention a murder–and Max has landed in a place even more corrupt . . . and more compelling . . . than the U.S. capital itself.